We explain everything you need to know about SBA small business startup loans including requirements, advantages and disadvantages, who qualifies, ways to ensure you'll be approved, and even dive into other SBA loan programs including the 7(a) loan program, 504 loan program, and 7(m) microloans. There’s one major question that nearly everyone faces when starting a small business or startup: Where are we going to get the money? One option is a small business loan. In general, a small business loan is any loan that exists to help a small business or startup with little to no business history. 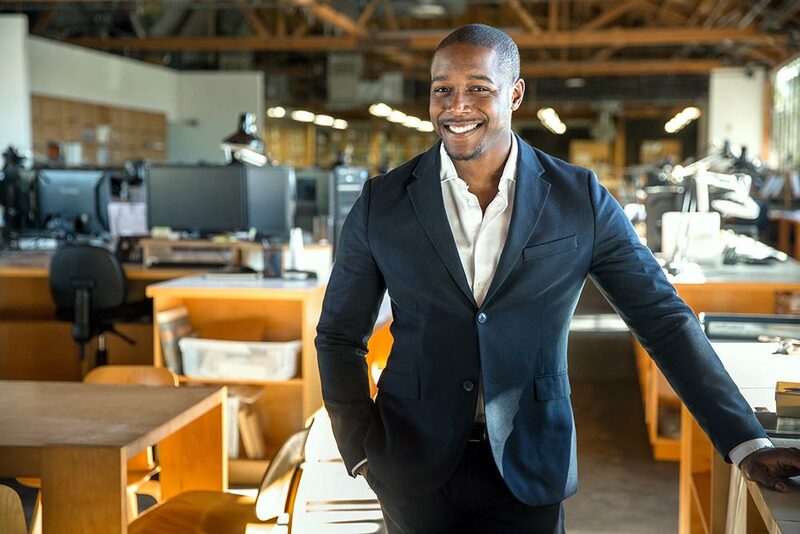 While there are a range of financing options for small businesses and startups, let’s take a look specifically at SBA small business loans. SBA small business Startup loan? A SBA small business loan is a loan that is backed by the Small Business Administration (SBA). 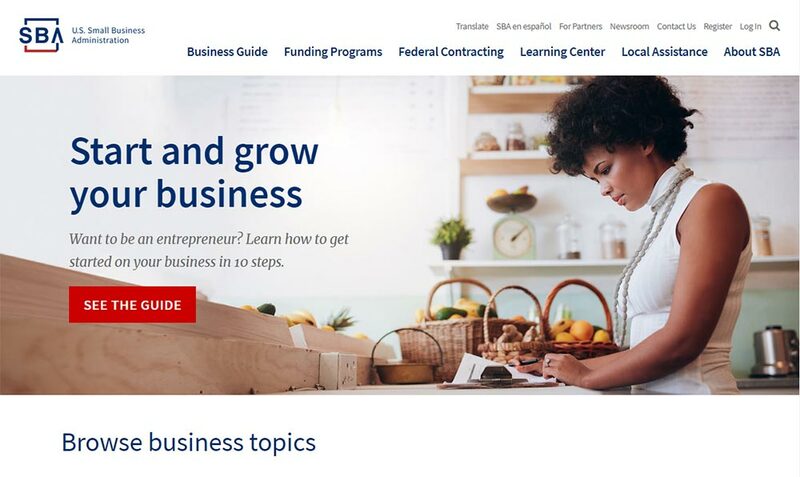 Founded in 1953, the SBA is a federal government program that provides support to small business owners in the form of mentorship, workshops, counseling, and small business loans. There are three main types of SBA small business loans: the 7(a) Loan Program, the 504 Loan Program, and the 7(m) Microloan Program. What documents do you need to prepare before applying for any SBA loan? Regardless of the type of the SBA small business loan you decide is the best fit for your startup, you’re going to need to present the following documents and information to your lending institution. It’s a good idea to get all of this together before you approach the bank, so that you’re ready to go (and you’re sure you qualify) before you start the long process of applying and qualifying for a SBA small business loan. While new startups can absolutely apply for a SBA small business loan, in general it’s easier for companies with a little history under their belt. As a result, the minimum time in business is often two years, with companies with a longer business time more likely to be approved than younger companies. Does your startup qualify as “small” under the SBA guidelines? Because the SBA was created specifically to help small businesses, this is kind of a major requirement. Luckily, they created a “size standards tool” to help you determine whether or not your startup qualifies. The SBA is going to want a copy of your personal credit report in order to determine whether or not you are a good bet for lending. As the founder, your personal credit history gives a good idea of how well you’ll handle money and loans within your startup. Many small businesses and startups write off a large number of things on their taxes. However, this might hurt you in a SBA loan application, as it makes it look like your startup doesn’t have a profit. If that’s the case, be prepared to explain to the bank officer why you chose to take that approach with your taxes. Collateral isn’t always required for SBA loans, but it’s worth determining and documenting what collateral you’re willing to offer, in case they ask for it. Startups in particular may be consider higher risk loans, so definitely don’t skip this step. Take a look at your assets and consider: What are you willing to give up if you default on your loan? The answer will be particular to your assets and situation, but may include anything from real estate to equipment to the company itself. The 7(a) Loan Program is the most popular SBA small business loan. 7(a) Loan Program SBA small business loans can be used for purchasing fixed assets, working capital, to finance startups, to purchase an existing business, and for debt repayment. In order to qualify, a company must first meet the SBA size standards. Because SBA loans are specifically for small businesses, they’ve created a “size standards tool” that helps founders and small business owners determine whether or not they qualify. Your business or startup must be for-profit. Your business or startup operates within the United States. You have to be able to prove that you have the ability to pay back the loan. You have to prove that you can successfully manage this business. Startups specifically must show that founders have experience in the field that they’re proposing to start a business in and also that they have “significant” management work experience. For new businesses, founders must have approximately one dollar of cash or business assets for each three dollars of the new loan. For established businesses, owners must have no more than four dollars of total debt for each dollar of net worth. Who Is Ineligible For A 7(a) Loan Program SBA Small Business Loan? 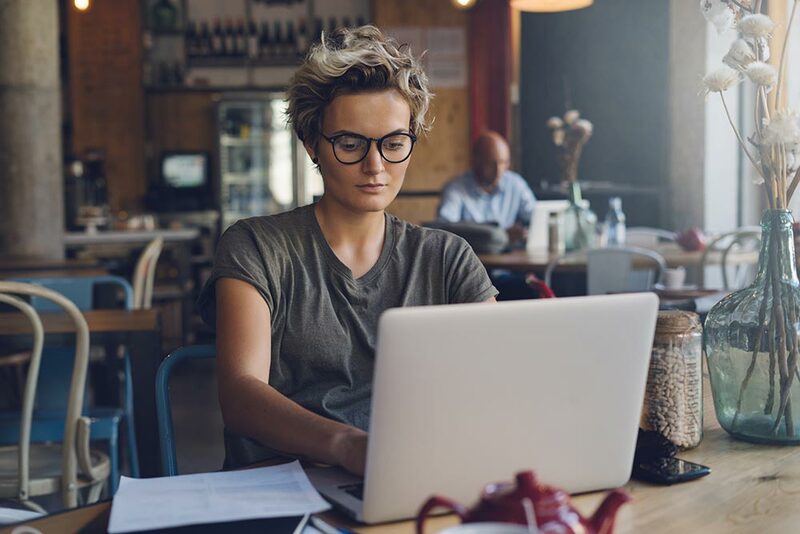 While most small businesses will qualify for a 7(a) Loan Program SBA small business loan, there are some characteristics that make a small business or startup ineligible. You don’t meet the SBA size standards for a small business. You have access to funds in other ways, as in your own wealth or you would qualify for a loan without the SBA guarantee backing your startup. You need the loan to pay off inadequately secured creditors. Your startup is for speculation, lending, investment, or rental real estate. Your startup is a non-profit. The equity requirement is relatively low. A 7(a) Loan Program SBA small business loan requires 10 percent borrower equity, compared to as much as 30 percent for a traditional loan. 7(a) Loan Program SBA small business loans are available to groups that may not have access to traditional finance, including export businesses, underserved communities, military, and small business owners who need help meeting short-term and cyclical working capital needs. 7(a) Loan Program SBA small business loans are relatively small. They have an upper limit of $5 million. The 504 Loan Program is the second most popular type of SBA small business loan and they’re used to help businesses expand, not to start new businesses. They are long term, fixed rate loans. 504 Loan Program small business loans can be used for purchasing or improving assets necessary for your startup, such as land or equipment or real estate. They cannot be used for working capital or inventory, consolidating or repaying debt, or refinancing. In order to qualify, a company must first meet the SBA size standards. Because SBA loans are specifically for small businesses, they’ve created a “size standards tool” that helps founders and small business owners determine whether or not they qualify. Once you’ve determined whether or not your company qualifies under the size standards and have gotten together all of the documents listed in the general requirements above, your startup must be a for-profit business and operate within the United States in order to qualify for a 504 Loan Program SBA small business loan. Who Is Ineligible For A 504 Loan Program SBA Small Business Loan? First, 504 Loan Program small business loans are specifically for business expansion, not for starting a new business. Additionally, the following characteristics would make a startup ineligible for a 504 small business loan. The SBA encourages small business owners and startup founders to contact their local Certified Development Company for a more comprehensive list of eligibility criteria and loan application requirements. You only have to over 10 percent of a large cost, with the lender covering 50 percent and the SBA covering the final 40 percent. 504 Loans have a fixed interest rate, which means you don’t have to worry about paying a higher percentage of interest any point during the loan’s repayment period. Many businesses can qualify for a 504 loan. 504 loans have a longer repayment loan term — up to 25 years — than many other types of business loans. It can take longer than other loan types to get approval. Like other SBA loans, there is a lot of paperwork required. Some lenders may charge slightly higher interest rates for 504 loans than they do for traditional loans. You have to create one job or retain an existing job for every $65k you receive. Alternatively, your company has to meet a community development or public policy goal. Unlike the other two types of load listed here, 7(m) Microloans are approved and financed by the SBA via non-profit, community-based intermediaries. The loans are quite small, with an upper limit of $50k and an average loan amount of $13k. The program was created specifically to help women, low income, veteran, and minority entrepreneurs, as well as other small businesses in need of small amounts of financial assistance. Your company must be a startup, newly established, or growing for profit small business concern or a non-profit child care center. Your startup must be located in the approved service area of the intermediary who is administering the loan. If you’re asking for $20k or more, you have to prove you can’t get the financing anywhere else. A credit report. Because microloans specifically target people who may have very limited access to other types of financing, they may be more lenient with poor credit than the other loan types listed here. It’s worth talking to your lending institution to find out what their specific requirements are. Who Is Ineligible For A 7(m) Microloan Small Business Loan? Any businesses located in a foreign country. Any pyramid sale distribution plan. Any business deriving more than one-third of its gross annual revenue from legal gambling activities. Any private club or business that limits membership for reasons other than capacity. Government-owned entities (except businesses owned or controlled by a Native American tribe). Any businesses principally engaged in teaching, instructing, counseling or indoctrinating religion or religious beliefs, whether in a religious or secular setting. Loan packagers earning more than one third of their gross annual revenues from packaging SBA loans. Any business in which the lender or any of its associates owns an equity interest. Any business with an associate who is incarcerated, or is currently under indictment for a felony or a crime of moral turpitude. However, the lender has the authority to determine whether it will make a Microloan to anyone with an arrest record who is not currently incarcerated, or currently under indictment. Any business primarily engaged in political or lobbying activities. Any businesses located in a Coastal Barrier Resource Area (as defined in the Coastal Barriers Resource Act). Any businesses owned or controlled by an applicant or any of its associates who are more than 60 days delinquent in child support under the terms of any administrative order, court order, or repayment agreement. However, someone who enters into a child support repayment agreement and is in compliance with that agreement is not considered delinquent. Any businesses in which an associate is an undocumented immigrant. Any business owned or controlled by an applicant or any of its Associates who are presently debarred, suspended, proposed for debarment, declared ineligible, or voluntarily excluded from participation by any Federal department or agency. People and companies who don’t have access to other forms of capital might find it easier to qualify for a microloan than for a larger or more traditional loan type. Part of the requirement for receiving a 7(m) microloan is participation in a (free) business development program. Some first time founders find this to be helpful. Part of the requirement for receiving a 7(m) microloan is participation in a (free) business development program. Some founders find this to be unnecessary. The loans are for a relatively small amount.